The men’s and women’s basketball teams were both in action in the NCAA Tournament this past weekend. Michael Epps has on-site coverage from the men’s game in Des Moines, Iowa. Plus, the softball team played its first home series this weekend. Those stories and more on this week’s show. With eight teams in Des Moines, Iowa for first and second round action of the NCAA Tournament, it’s not just the teams in town for the event. Fans and mascots too also get to enjoy the weekend. The Michigan State basketball team is in Des Moines for the first round of the NCAA tournament. The drive is from East Lansing to Des Moines is a long one, 540 miles to be exact, but the fans drove in full force. 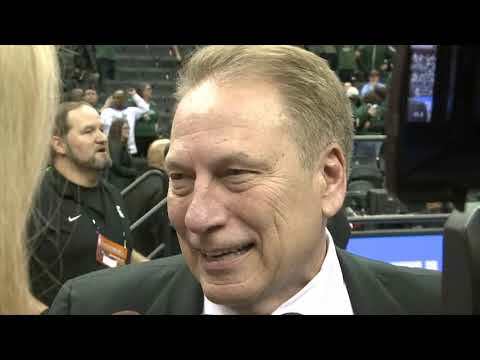 The MSU Men’s Basketball team won its conference-record 6th Big Ten Tournament championship last weekend. Michael Epps was in Chicago and tells how MSU took the title. Plus, the football team held its annual Pro Day on Monday. Those stories and more on this week’s show. Looking to broaden the reach of community throughout the city, Williamston groups and officials are enhancing efforts to provide children with a more direct role in community involvement. With March Madness coming, Spags Bar is slowly approaching its next busiest time of the year. Spag’s Bar and Grill is a local restaurant in Williamstown Township where residents gather for family dinner time and sports watching. Spags Bar may not be in East Lansing, but Spartan fans still come out to the Williamston bar to show their Spartan spirit.